You’ve probably found someone or a web site that has steel drums for sale but you have little or no idea on how to go about assessing the quality of the steel drums. 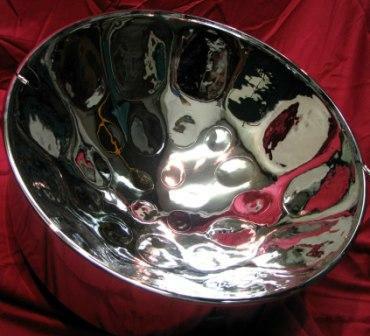 It would be ideal if you had access to the instrument that you wish to buy and an experienced steelpan player who could help you assess its quality. But if you reside outside of the Caribbean, it is very likely that you will be on your own, having to deal with the merchant and do the assessment yourself. Your first order of business should be to do some research on how the particular steel drum that you wish to buy is supposed to sound. The internet can obviously help you in that regard, or you may already have recordings of the sound of the desired steel drum. Inspect the skirt(s) (outer body) of the steel drum(s) - If it (they) are warped, do not buy as the notes of this steel drum will not vibrate freely and may most likely be out of tune. 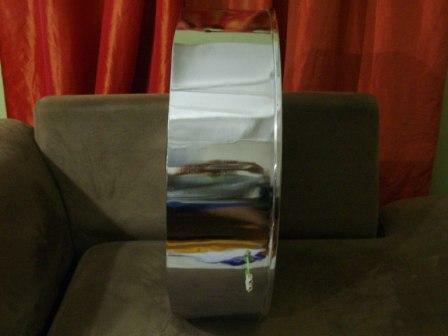 If the steel drum is chrome plated, check for cracks in the chrome, both on the skirt and on the playing surface. The presence of cracks will allow premature rusting of the steel drum. You should also check for rusting on the under-part of the steel drum. Inspect the bottom edge of the skirt and ensure that it is smooth and not jagged. A jagged edge can injure your hands, damage your pan case and just looks aesthetically unpleasing. The surface of the notes should be smooth, with no bumps between the notes. In other words, the workmanship of the steel drums for sale should look neat and professionally done. The following pictures show a properly shaped steel drum skirt and a smooth playing surface. After selecting a steel drum that has passed the above inspection you should assess its intonation and tone quality. 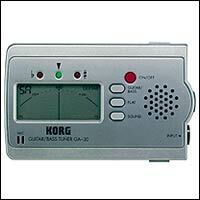 It is strongly advised that you use an electronic tuner (one shown below) to check the intonation of the notes of the steel drum. Steel drums that fail this test should be rejected. All of the notes, with the exception of the very small ones, should vibrate freely and decay after a few seconds. This is particularly important for the outside notes, which should not sound too stiff. In general, the outside notes of the steel drum should have a longer decay time. Every note should vibrate independently and have a pure sound when struck. In other words, striking one note should not cause a neighboring note to sound also. Ensure that when you play the inner notes, their lower octaves do not sound, as this is a sign of poor tuning. No one note should sound louder, brighter (ring out more) or resonate significantly less than the other notes. This is an issue of balance of sound within the steel drum and should also be carefully assessed for instruments that use more than one drum. Click below to hear the sound of a properly tuned steel drum.